Previously we mentioned about Witstech A81 Arm Cortex-A8 based dual boot tablet PC based on Android and WinCE, but in case you are looking for true Windows Operating System while still maintaining Android OS, the newly announced tablet PC from ViewSonic may be your great alternative. Named as ViewPad 10, the machine will be powered by Intel processor (not finalized yet but likelihood will be thermally efficient Atom family) with 10-inch display featuring dual boot capability and other feature sets. 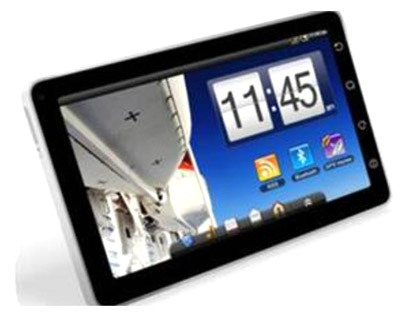 Unlike its sibling model, a 7-inch ViewPad 7 that is powered by ARM processor running on Android OS only, the newly announced ViewPad 10 has been enlarged in terms of display size to complete against Apple’s iPad and at the same time, it has been preloaded with both Microsoft and Android OS for greater usability. Not to be limited to Windows CE but rather a much preferred Windows 7 or Windows XP embedded OS (thanks to its X86 based architecture), it will definitely able to attract users especially those that would like to experience dual boot system with different user interface and running apps. Other specifications include 3G, WiFi, Bluetooth, front and back camera, MicroSD card slot, USB ports and many more. No pricing and availability yet, the ViewPad models will be showcased at IFA 2010 event held in Berlin by next week.